The Future of Food: CSIS’s new video explores the future of food and discusses key concepts to improve food security and access around the world. A Legacy of Innovation on the Farm: In their own words, U.S. Wheat farmers describe the work they do with every crop to ensure U.S. Wheat remains the highest quality, most valuable wheat in the world. 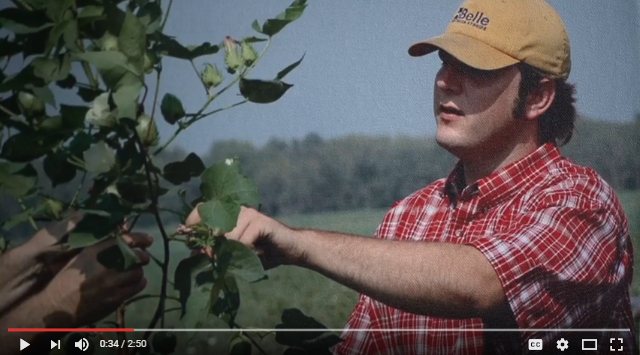 A day in the life of three generations where the Hartke family in Teutopolis, Illinois produces sustainable agricultural products for consumers all over the world. Cotton USA Farmer Focus: U.S. cotton producer Nathan Reed shows why Cotton USA is the cotton the world trusts. California Almond Sustainability Program: California almond growers grow more than 80% of the world’s almonds and are responsible stewards of the land — by conserving water, utilizing cover crops to reduce soil erosion, and other methods explained in this video. U.S. Dairy Export Council: This video series tells the story of a Pennsylvania dairy farmer’s stewardship of the environment. U.S. Poultry: Riverhill Farms is owned and operated by Glenn and Sheri Rodes, along with their parents, brothers and extended family. Their farm — a Family Farm Environmental Excellence Award Winner — has five turkey barns, and they raise 280,000 turkeys per flock for Cargill Turkey Production. Alaska Seafood — Generating Power from Pollock: Hoisted up from the Bering Sea, Alaska pollock finds its way into products that are distributed around the world. Sometimes, part of the fish doesn’t make it that far. Mark Hoffman, supervisor at the UniSea power plant, explains how the company uses some of its leftover fish oil. U.S. Soy: The U.S. Soybean Sustainability Assurance Protocol is a promise by U.S. soybean farmers and the U.S. Soy industry to produce its soy sustainably through a certified aggregated approach audited by third parties that assures certified soybean production on a national scale. The four key directives include biodiversity, production practices, health and welfare, and environmental protection.